Grand Rapids Community Foundation Scholarships offer students who reside and attend school in Michigan an opportunity to receive a scholarship to further their education. Some scholarships are for minority students and other scholarships are for specific fields of study, such as law or legal services. There are scholarships for students attending specific high schools, students residing in Kent County, students with financial need who have participated in the Youth Enrichment Scholarship Program from 4th through 8th grade, and students currently attending the University of Michigan. Scholarships for specific fields of study include law, health care, education, business, music, aviation and fine arts. Scholarships for minorities include students from African American, Asian, Hispanic, Native American, and Pacific Islander descent. Some scholarships require enrollment in a four-year institution and others allow students to enroll in either a two-year or four-year college or university. 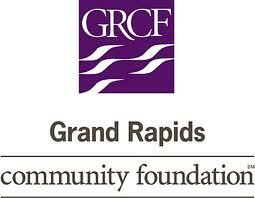 The scholarships are funded by the Grand Rapids Community Foundation founded in 1922 by Grand Rapids entrepreneur Lee Hutchins. The mission of the non-profit organization is to serve the needs of citizens in West Michigan. Over 60 scholarships are available to students each year through the foundation.